•	Received Research Grant 74.94 lakhs from Ministry of Earth Science Department, India on “Development of systems to acquire genuine earthquake precursors by techniques: Monitoring of broadband EM (electro-magnetic) atmospheric noise (RFD system). •	Received Research Grant of Rs. 15000/- from University of Mumbai, Mumbai for the Research Project “Risk Management Models in Software Projects”. •	Received grant of Rs. 70,000 /- from ICSSR for conducting workshop on Research Methodology and Data Analysis for teachers. Worked as Coordinator for the workshop. •	Received Research Grant Rs. 50,000 /- from ICSSR FOR Research Project “Work Life Balance of working Woman”. Copyright - Copyright for Ph.D. thesis “Risk Management in Software Projects An Analytical Study” (L-64491/2016). Patents - Filed Patent for the design of “Development of systems to acquire genuine earthquake precursors by techniques: Monitoring of broadband EM (electro-magnetic) atmospheric noise (RFD system). Books/ Monographs: Edited book published by BVIMSR titled “Brand India: A Global Destination” Published by Himalaya Publishing House, ISBN 978-93-5051-580-8. •	EOF : An Online Examination Control Scheme for Web E-Learning, Journal of Management Research , ISSN : 0976 – 4739. •	Architecture Trade-off Analysis method (ATAM) Used for Software Architecture , International Journal of current Trends in Engineering and Research, Vol-2 Issue 6,June 2016. •	Nano Power Distribution Technology across Multi Sector Using IOT, International Journal of current Trends in Engineering and Research, Vol-2 Issue 6,June 2016. •	Hand Gesture Recognition , Journal of Management Research ,ISSN : 0976-4739 , Vol-8 , Number -1, April 2016. •	“An assessment of Knowledge Management Information process Model. “, International Conference, INCON-V- 2010, ASM, Pune. •	“Identifying behavioral pattern of women school using data Mining techniques”, National Conference, YMT, Kharghar, Navi Mumbai. •	Prof. Vaishali Patil,” Knowledge Management on Placement decision making”, International Conference at BVIMSR, Navi Mumbai. •	“A Talent Management: A dimension for improving business success." Gogate Institute Of Tech, Belgium. •	Prof. Vaishali Patil,” An overview : data warehousing & data Mining in Retail Sector”, Kohinoor Business school , Khandala. •	“Mechanism to ensure success of the software projects”, Coimbatore. •	“KHOJ : A predictive system for managing Natural Talent Resources” B.V., New Delhi. •	“Why Software Projects Fail?”, BVIMRDA, Sangli. •	“KM-ICT For effective rural development”, Gogate Institute Of Tech, Belgaum. 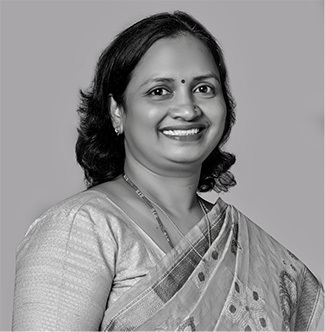 •	Prof. Vaishali Patil,” Model for the Distance learning” Multimedia Journal , Beijing, China. •	Awarded “ Ramaswamy Aiyar Best Young Teacher Award 2015” in 27th AIMS Annual Management Education Convention, 2015. •	Won a Gold Medal from AIMS – We school Innovation Award on the Occasion Of the 24th AIMS Annual Management Education Convention, 2012 “Innovative Management Education For Sustainable Development”, Hyderabad. •	Won a Gold Medal from AIMS for – “Customized Learning Model using Mentoring” on the Occasion Of the 24th AIMS Annual Management Education Convention 2014 conducted on 22nd August 2014, Pune.